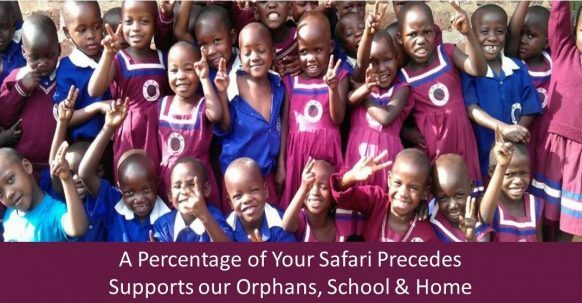 The 6 Days Rwanda Gorillas Trekking Safaris Chimpanzee Trekking Tour Rwanda is one of the excellent safari packages 0rganised by Prime Safaris and Tours Ltd for you to encounter the delightful primate species protected in Rwanda- the land of thousand hills. The 6 Days Rwanda Gorillas &Chimpanzee trekking Safari will take you through Rwanda’s primate Capital- Nyungwe forest park for memorable Chimpanzee trekking experience; thereafter, it connects you to Volcanoes national park where you will have life time experience of trekking the world endangered species of the mountain gorillas in their natural habitat of Volcanoes national park. The highly rewarding safari starts and ends in Kigali-the Capital City of Rwanda. Day 5 of the 6 Days Rwanda Gorillas Trekking Safaris Chimpanzee Trekking Tour Rwanda: Do Gorilla Trekking & Musanze Cave tour. Day 6 of the 6 Days Rwanda Gorillas Trekking Safaris Chimpanzee Trekking Tour Rwanda: Trek to Dian Fossey Tomb & Transfer to Kigali City. When you arrival at Kigali International Airport, you will be met by your English speaking driver guide who will warmly welcome you and then transfer you to your pre-booked Kigali lodge to check-in. On arrival to the lodge, the driver guide will give you a chivalrous introduction about the safari and Rwanda in general. Thereafter, he will leave you to relax, have Dinner and overnight stay. Day 2 of the 6 Days Rwanda Gorillas Trekking Safaris Chimpanzee Trekking Tour Rwanda: Transfer to Nyungwe Forest Park with enroute stopovers at Butare National Museum, Nyanza & evening Cultural encounter. Right after taking a cup of coffee, you will report to the park headquarters for an early morning briefing about the dos and don’ts of Chimpanzee trekking in the loviest forest of Nyungwe national park. 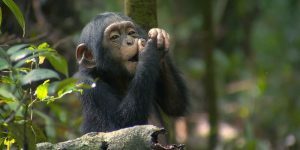 Immediately after briefing, you will be led by the ranger guide through the beautiful forest trail to trek the fascinating chimpanzee creatures. Along the trails you may enjoy the nice melodies of different bird species housed in the forest and you may also have chance to enjoy the views of other primates like grey-cheeked mangabey, white &black Monkeys, Baboons. After 2-6 hours of trekking, you may encounter the chimps and once-up-close, you will be allowed to allocated one memorable hour to study the primates. During this time, you will observe them play, feed and rest. After this worthwhile experience, you will head back to the lodge for lunch. 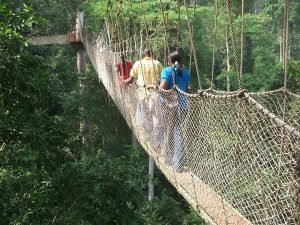 After lunch, embark on adventurous canopy walk to see the beautiful twin lakes as well as various bird species. 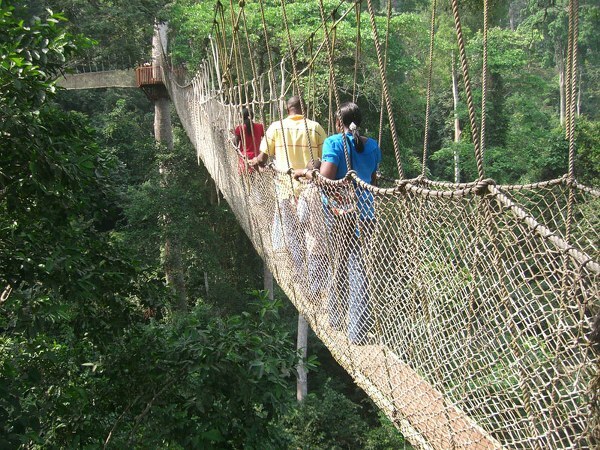 Participate in Nature walks in the ever green forests of Nyungwe. After these interesting activities, you will retire back to your lodge for dinner and overnight. After waking up early morning; you will have your energy giving breakfast and thereafter, report to the park headquarters for an early morning registration and briefing about gorilla trekking etiquettes in Volcanoes Park. At the park headquarters, you will meet other trekkers and be divided in groups of eight individuals who are allowed to trek one habituated mountain gorilla group. After briefing, you will be led by ranger guide to hike through the verdant jungle to search for mountain gorillas. The activity may take you between 2-8 hours to encounter the apes. When you encounter them, you will be allowed one hour to stay with them, seeing them feed, play and look for their young ones. Right after the one hour, retire back to the starting point and there after transfer to the lodge for late lunch and refreshment. After lunch, embarks on Musanze Cave tour through the tourist walkways, trails and stairs that take you to the dark interior of the caves that illustrates a picture of a house with several rooms and corridors. The tour will provide you with an in-depth understanding of the geological, geographical as well as historical development of the globe. After exploring the cave, retreat back to the lodge for dinner and overnight.